Alhamdulillah Allah (Azza wa Jal) gave us good life, a long life to see the month of Ramadan, gave us good health to participate in the fasting of Ramadan and alhamdulillah to see Eid al-Fitr inshaAllah in the morning. 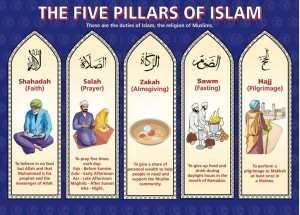 Blessings of Ramadan to everyone here and to everyone there wherever you are. We pray for you and you pray for us that Allah (Azza wa Jal) gives us that Rahma, that Mercy and the secrets of Ramadan to be upon us and give us good long life and health to see next Ramadan inshaAllah. That Mawlana Shaykh is teaching for us always to be nothing. Laa ilaaha illa anta subhaanaka inni kuntu min az-zalimeen. Yaa Rabbi ana `abduka ajiz wa daeef wa miskeen wa zalim wa jahl, and I am an oppressor to myself and nothing. If not for the Mercy of Allah (Azza wa Jal)’s Rahma to be upon me or then nothing is possible. 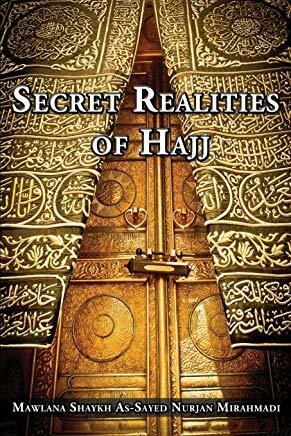 In their way of haqaiq, they open from the realities of Holy Qur’an. But they can’t open until the student is in a state of tasleem where you admit to yourself that you are zalim (oppressor). Laa ilaha illa anta subhaanaka inni kuntu min az Zhalimeen, “Glory be to Allah (Azza wa Jal) and for sure I am an oppressor to myself.” If you are zalim and you believe you are zalim then we don’t count anything. You pray but you don’t think that it’s counting. You are not proud, the zalim shouldn’t be proud of his prayer because that was the door. If Sayyidina Yunus (Jonah) (alayhi ‘s salaam) is repeating that (prayer), that he had to go with anger. When you read the ayat (verse) of the Qur’an (it describes) that he left angry. Means anyone with ghadab (anger) is a zalim (oppressor). And Allah (Azza wa Jal) had to have him (Yunus (as) swallowed by a whale. So Allah (Azza wa Jal) is not happy with anger. Anyone who shows anger at any moment enters a state of kufr, or disbelief. That is what they talk about: thumma amano thumma kafaro (believe, then disbelieve, then believe). You can’t say you are a big believer, if you are getting angry, you are a kafir (disbeliever), in a nice and polite sense. So we are not mukhlis where they don’t get angry. So you admit to Allah (Azza wa Jal), “Yaa Rabbi I am a zalim, I am getting angry, I have all sorts of bad character. I know You are not counting my salah, I am coming through the Door of Your Maghfirah yaa Rabbi. I am imitating what Prophet (sallallahu alayhi wa sallam) asked me to imitate, I am praying through imitation. Ashhadu an la ilaha illa-lah, wa ashhadu anna Muhammadan rasulu hu. Did you witness anything? It means it is a lie and so you are a liar too! You are praying Salah, but you are praying and thinking of all the different things, all the waswas and anger. This one and that one, this beautiful person, this ugly person, this person did this, this person did that, that salah is not for Allah (Azza wa Jal). With the zakat (charity), “O I don’t want to give, maybe it will come back, maybe it won’t come back. I am never going to have it again, it is going to lower my account, it is not going to increase my account.” The zakat didn’t count. Hajj, “O it’s too far, it is going to be too long.” Hajj didn’t count. Siyam (Fasting)? “O it was just thirty days of complaint. O how long is this day? Yaa Latif, when is it going to be iftar? Why is it so long? Why is it so hard?” So fasting was all thirty days of complaint. Then they come and teach, “Be true with Allah (Azza wa Jal); you can’t lie with Allah (Azza wa Jal), you can’t make a facade with Allah (Azza wa Jal). Be truthful with Allah (aj), ana `abduka ajiz, wa daeef wa miskeen wa zalim wa jahl [I am a servant that is weak, poor, and Oppressor and ignorant]. If not by Your Rahma yaa Rabbi nothing is going to happen for me. My prayer doesn’t count, my fasting didn’t count, my Shahada was a lie, my zakat is with trembling hands, my Hajj is too far, everything, yaa Rabbi, nothing, nothing, nothing. They want the student to admit his nothingness. As soon as he becomes nothing, his cup becomes empty. Every spiritual way, every prophetic way, every reality was to be nothing, be nothing, be nothing in the face of your Lord Most High. So it means everything came to us, to be nothing. So Awliyaullah come into our lives (and remind), “If you are truly accepting to be nothing, then we will come and show you.” If you are nothing, then don’t see any problem in how people pray because you said you were a zalim (oppressor). Can a zalim talk about how other people pray? You have to worry about your zulumat. How other people pay, how other people look, their appearance. You are a zalim, you have to hope Allah doesn’t punish you in jahannum (hellfire). So why do you worry about other people? Worry only about yourself. If you worry only about yourself you will be set in life because you will truly be humble. Yaa Rabbi grant me Your Maghfirah (forgiveness), yaa Rabbi grant me Your Maghfirah, I am nothing, I am nothing. Only at that time you begin to negate everything, that you don’t look to anything. You don’t look to your left or your right, I negate myself, I negate myself, I know nothing because I am only concerned about the one who is going in the grave and that is my grave. Every grave has one person. I am only interested in this person and what is going to happen in my grave. Then, at that level, the student is ready. When the student is ready and has negated himself because the self is the one who is going to be fighting with the shaykh. From ati ullah, to obey Allah (Azza wa Jal), ati ar Rasul, to obey Prophet (sallallahu alayhi wa sallam) and the third order wa ulul amri minkum (to obey those in authority). How are you going to obey ulul amr when you are obeying your self? That is why you have to negate. When you negate yourself: I am nothing, I am nothing, I am nothing then you put your hand into their hand and say, “You take care of me”. I am nothing and I agreed that I was nothing.” So be in the hands of the ulul amr. They take your hand and say, “Come, we are going to start to train you on how to complete your covenant with Allah (Azza wa Jal).” You took your bay`at that you would have your allegiance to Allah (Azza wa Jal) through the hand of Sayyidina Muhammad (sallallahu alayhi wa sallam) brought to you by the ulul amr. 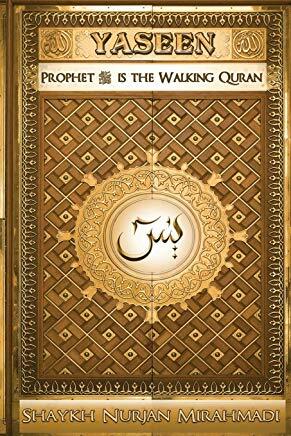 They are the walking hands and feet of Prophet (sallallahu alayhi wa sallam) on this dunya. They are the Muhammadan guides and the Muhammadan representatives. 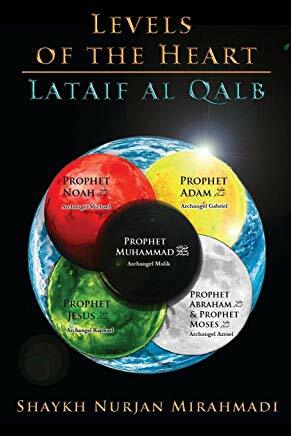 “Have a consciousness and accompany the sadiq.” It means then in the world of light which is their world, they are the people from the world of light and they don’t care for the material world so their guidance and their realities of Holy Qur’an are from the Malakoot, the Heavenly Realm which is the superior realm. This is the false and the perishing graveyard of insan. This dunya is the graveyard, the Heavens is where the reality is. `Wa koonu ma`as Sadiqeen, ittaqulla` means they have such a level of consciousness and then accompany Allah’s truthful servants. So it means then you will be taught how to accompany them physically, and more importantly how to accompany them spiritually. They have a physical body which you accompany; you see and you eat and you drink and you pray with them but they have a spiritual body which is more superior. They have a spiritual body that you should be feeling, you should be connecting with that spiritual body and then Allah (Azza wa Jal)’s Words are true. No time, no limit and Allah (Azza wa Jal) does not care for dunya. So what is Allah (Azza wa Jal) meaning? When Allah (Azza wa Jal) said, “Be conscious of Me and keep the company of the siddiqeen and the sadiq.” Means at every moment you should be training, “Yaa Rabbi wherever I am, let me be in the company of those who are truthful.” If they are truthful these are the servants who are with Allah: Nabiyeen, Siddiqeen, Shuhada wa Saliheen. 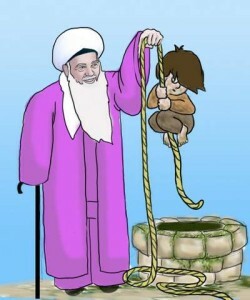 Allah (Azza wa Jal) says: Hold tight to the rope of Allah (Azza wa Jal). Means in every instant Allah (Azza wa Jal) is giving that you have to be with these people from the spiritual world. The physical world is the best. If your physical world is eating with pious people, praying with pious people, drinking with pious people, alhamdulillah it is a good sign that you are probably in a good place in Paradise. But if you are with the worst of people in dunya and you are expecting to be with the best of people in Akhirah that is not going to happen! This dunya is just a sign for us. So alhamdulillah we all eat and drink and we are following our beloved shaykh, Mawlana Shaykh Hisham under the flag of Sultan al Awliya Mawlana Shaykh Muhammad Nazim al-Haqqani, under the flag of Mawlana Shaykh ‘AbdAllah Fa’iz ad-Daghestani all Sultan al Awliyas, the cream of the creams, the chairmen of the board. What better company than that? But, I don’t want to follow them only by my body, my body is not important, I want to be with them with my soul. Allah (‘Azza wa Jal) says: hold tight to their rope. Means then you begin to train that if you truly believe that you are nothing and every time you say, “Yaa Rabbi I am nothing, I am nothing, let me to be with them.” Allah (Azza wa Jal) then begins to train, Prophet (sallallahu alayhi wa sallam) begins to train: that every sense you have has a sense and a reality from your soul. It means your ears have a physical ear but you (also) have a spiritual ear. So you begin to train yourself, when you close and make your itikaaf (seclusion) every day. You close your room and close everything off and spend a few minutes contemplating, making tafakkur that,” I am nothing let me to be with them. These are Allah’s Words, this is not shirk. Worship is only for Allah (Azza wa Jal). You make your tafakkur that they are there, I am saying it in my salah (daily prayer), I am saying asalaamu `alayka ayyu hanNabi (sallallahu alayhi wa sallam) and I am not seeing Prophet (sallallahu alayhi wa sallam). Assalamu alayka ayyu hanNabi wa rahmatullahi wa barakatuhu. AsSalamu alayna wa ala Ibadullahi Saliheen. 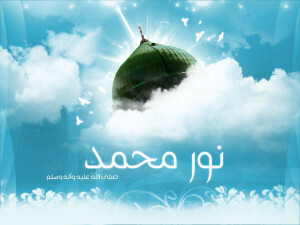 Peace be upon You O` Prophet (Muhammad (saws), His Mercy and His blessings too. Peace be on us and on all righteous servants of Allah. I have to train myself that Prophet (sallallahu alayhi wa sallam) must be there, `ibadallah saliheen must be all around me. But let me start with the easiest rope because the rope that is reaching to me are my Saliheen and my beloved guides. And you build a relationship just like it is physical, it’s no difference for you if you are from the Malakoot, the spiritual realm is more important than the physical realm. As we are seeing the shaykh is praying, as you are sitting down [to pray], then spiritually he must be present right there in front of you. You are saying it, you are giving salaam to Prophet (sallallahu alayhi wa sallam), wa `ibadillahis-saliheen (within the prayer cycle). These are Allah (Azza wa Jal)’s Saliheen. 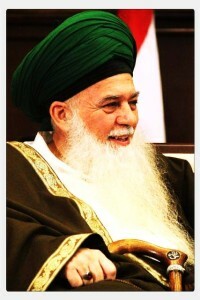 So you are training yourself, “Madad yaa Sayyidi, yaa Mawlana Shaykh let your light be with me. That from your fa’iz, from your light dress me, and bless me from what Allah (Azza wa Jal) has given to you. What Allah (Azza wa Jal) has dressed upon you, dress it upon me.” And you train yourself and visualize yourself in their presence. Stay in a state of quietness and calmness and then begin to make a hisaab. And then their fa’iz and their light begins to dress you and they begin to teach that: every time you begin to do something bad you lose the fa’iz. Ther light is coming to dress you from Prophet (sallallahu alayhi wa sallam). Every time you do something bad that (light) goes and the connection will be lost. Every time you keep yourself to be good and that becomes your muhasabah (take an account of yourself). People don’t know that if you do your muhasabah without connecting to these lights, without understanding the presence of these lights, it’s not going to open anything to you. You not going to open anything from yourself. You are not going to be able to pull from your reality and break through all of these problems but you need the Awliyaullah to be present with you to begin to sign off on what you are doing. Allah is teaching you the best of manners so give them salaams, they are always with you. 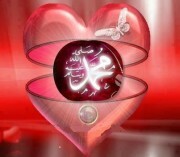 Give salaams to your beloved Prophet (sallallahu alayhi wa sallam), he is your imam. Your salah is not even coming to Me without mentioning Sayyidina Muhammad (sallallahu alayhi wa sallam). And who is with Prophet (sallallahu alayhi wa sallam)? The Saliheen, all Awliyaullah, all the lovers of Sayyidina Muhammad (sallallahu alayhi wa sallam) are accompanying Prophet (sallallahu alayhi wa sallam). So there is a baab (door), there is an opening. In which, at night you are meditating and contemplating, “Yaa Rabbi let me to be in the presence of these great Siddiq’s. Let my soul to be in their presence, let their fa’iz and their lights be dressed upon me.” And as you are visualizing their presence and asking from your soul to feel them. You don’t do crazy things and think that I am going to feel the shaykh. No, they put an iron door and say, “Forget it for you!” No, you do good things, good amal, completely listen to what they are teaching, have good actions so that this pardah (veil) can be moved away. So it is all good characteristics. Those good characteristicfs are going to begin to open all their fa’iz, their lights. Then they say, “When you are doing the muraqabah do muhasabah (accounting).” As soon as you are sitting and contemplating late at night, put a little bit of salawaat. So that you feel the love of Prophet (sallallahu alayhi wa sallam), and with the salawaat playing they are taking away the waswas that are coming into the ear, “O you have to go check your email, you have to do this, you have to do that.” No, knock all of that off. 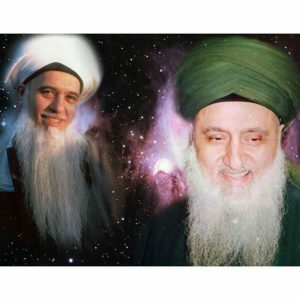 You are listening to salawaat and you are sitting and contemplating that Mawlana Shaykh must be in front of me, he must be watching me, his light is all around from the `ibadillahis-saliheen. And they continue to inspire, inspire, inspire so this pardah goes, this pardah goes, this pardah goes. And as the actions become correct, the `amal becomes correct, then you begin to feel their fa’iz. 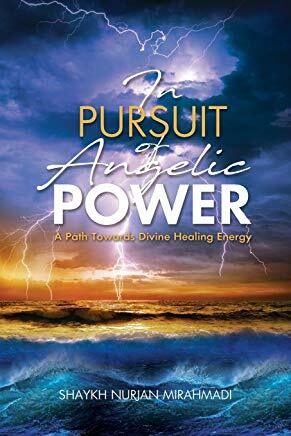 Their energy is very powerful and you begin to feel that energy. The vigilance they are talking about is that you vigilantly meditate that: dress me from your light, dress me from your light. Empty what is in your head, empty everything about your understanding. The active mind is blocking the heart because the mind is filled with waswas, it is filled with shak, doubt. It has doubt in every action they do, in every understanding and every reality, That doubt will not let anything to enter in. That is why the Prophet (sallallahu alayhi wa sallam) said, “Take your head off if you are coming to the Divinely Presence.” Means the Zikr is laa ilaaha ilAllah, don’t use your head to think, “How is this going to be possible? 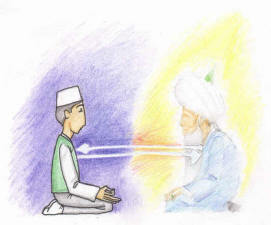 How is it going to…” How will you reach to the Heavens with this [Shaykh is pointing to the head]? It has to be through the heart. And it has to be the living guide, who has the authority and is holding to an electrical line. Because if you are not connected to the living guide it is very difficult to connect to the ones who have passed. That is not how the system works. Allah (Azza wa Jal) wants us to be connected to the living guide so that we have safety on Earth. That the fa’iz reaches us in our existence on this dunya. 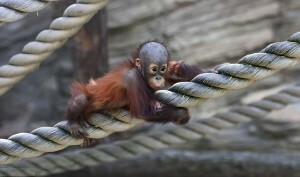 Means then we seek out the living guides. We take a way of being nothing and begin to train every night on how to be nothing, how to be nothing, how to take that hisaab. And how to be dressed from their lights, blessed from their lights. As the action becomes better and better and we begin to ask, “Yaa Sayyidi dress me from your light, bless me from your light.” You begin to feel their light dressing. You begin to feel their energies dressing. Then they begin to teach that: you be nothing, you said you are nothing. I am saying I am nothing, I am nothing, let me be a dot in your jubbah, like a piece of dust. That is why when you read these du`as that: let me just be dust under the feet of Prophet (sallallahu alayhi wa sallam), then just let me be dust in your jubbah. I am not asking, I don’t want my existence, I don’t want to be around, I want to be nothing, to be nothing. It is like a jet trying to connect with another jet in mid-air. You are constantly balancing until your good character is correct. Then the love is coming, and then their is a connection. [Shaykh joins palms]. Because you’ve negated, you loved, you obeyed, you gave all the teachings the way they wanted it to be taught. They said, “Relieve yourself of the bad characteristics.” As soon as their is connection means your love and their soul is connected. If that soul reaches out and connects with the student through their good character, not proximity to them but through their good character, there is a bond, this light bonds. Through that bond they can bring that student to be closer and closer and closer into the reality. As soon as the student becomes closer in the reality they are being dressed by that light, blessed by that light and that is what they call the fana (annihilation). It means with muhabbat, you came with love, you kept the hudoor the presence, the hudoor is physical and spiritual. You have to keep their spiritual presence. “They are with me wherever I am. If I am on the bus talking bad to people, my shaykh is sitting right there,” If I am talking to people I should not be conversing with, my shaykh is right there. I am cheating people, my shaykh is right there. Whatever I am doing, I am believing that my shaykh is right there, that light is right there. Allah (Azza wa Jal) sees, the angels see, the jinn see. You don’t think the light of Prophet (sallallahu alayhi wa sallam) is seeing? They are seeing! So then you’re constantly keeping your vigil. You are vigilant that: they are with me, I have to govern myself accordingly. As much as I govern myself accordingly, their light stays. If I do crazy things, their light goes, their light goes. Their light is Haqq. Haqq and falsehood don’t go together. If you capture a few minutes of light and go out and do false and bad things, their light leaves. It can’t be together. You can’t take a Muhammadan Light and go out and do crazy things. So you govern yourself. Your whole character begins to change because at night they begin to teach in the meditation, “No, no you can’t do that. Prophet (sallallahu alayhi wa sallam)’s light is not going to stay with that.” As soon as you lose your temper that light is gone. How then are you going to capture it? You have to start all over again. That is why it is the good character. If these people are able to keep the love of Prophet (sallallahu alayhi wa sallam) it is through their good character, through their love, through their humbleness, that light stays. That light stays and it begins to bless them and begins to nourish them and begins to change everything. That is what the real taqwa is. If somebody doesn’t have that light they have no understanding of taqwa. They don’t care, they are like being behind steel walls, it could be another seven inches of steel for all they care. But if you are feeling that light, feeling their presence, feeling their love are you going to go do something crazy and risk all of that? No. So then they have very humble character. They have a lot of khushiya in their heart. They are fearful that Allah and Prophet (sallallahu alayhi wa sallam) is going to be upset with them, Awliyaullah will be upset with them and lose all the fa’iz, lose all the emanations that are coming to them. So it builds beatific characteristics. And as a result whatever comes to them they stay quiet, they have the best of character and more (is being) dressed upon them. So Awliyaullah are not a light separate for themselves. [Some people say], “No, no I follow this wali, not this wali.” They are all Muhammadan Wali, they are all Muhammadan lights, their darajat (level) of strengths is what is important. There are some small suns and there are some very big powerful suns. And we need the one that is alive now that is constantly dressing, constantly blessing, because the fa’iz is coming to him, Prophet (sallallahu alayhi wa sallam)’s support is coming to him. 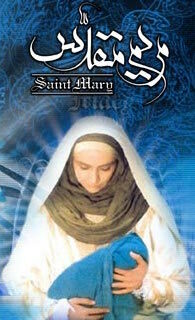 It comes to the living saints of this dunya, of this zaman. Those living saints carry the authority of Prophet (sallallahu alayhi wa sallam) on Earth. Whom We didn’t give a guide they have no wali murshid. The guide who is a saint of Allah (Azza wa Jal). Whom Allah gives, is then a huge ni’mat. That wali the light he is sending out is the light of Prophet (sallallahu alayhi wa sallam). It increases your love of Sayyidina Muhammad (sallallahu alayhi wa sallam), it increases your consciousness of Sayyidna Muhammad (sallallahu alayhi wa sallam), it increases every knowledge within the heart of the love of Sayyidina Muhammad (sallallahu alayhi wa sallam). Why? Because he is feekum, he is amongst you and spreading your heart, spreading your soul, filling your soul with all the love of Prophet (sallallahu alayhi wa sallam). 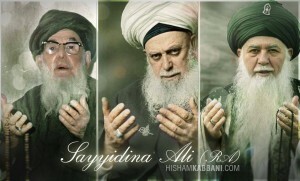 So then they become `ashiqeen, they become the lovers of Sayyidina Muhammad (sallallahu alayhi wa sallam). We pray that Allah (Azza wa Jal) grants us more and more understanding on how to truly use this body He gave us. How to keep it in its surrender and how to dress the soul with its reality. Those who think they can do it by themselves they have a very difficult path ahead of them. Those who acknowledge they are nothing and they have been defeated by their own Shaytan, as soon as they tap out and surrender, Shaytan got me in a headrest and I can’t get out of it, then the waliyan murshida will appear, the Awliya will appear in their lives to rescue them. Allah (Azza wa Jal)’s love for Bani Adam and this Creation in this Noor Muhammadi (sallallahu alayhi wa sallam) just requires us to surrender. You know nothing and Shaytan gets you in a big headlock then Allah (Azza wa Jal) sends that one who can defend us. They begin to come and teach that “If you think you’re going to fight it, Shaytan is going to defeat you in an instant.” But if you want their support, then take the way of training on how to bring their light how to bring their fa’iz, how to bring their emanations upon our life. And that will change us, our families and our whole community will be under their dress. Now in days of difficulty it is needed more than ever. If anyone thinks they have the ability to protect themselves from what is coming upon the Earth, God help them, Allah (Azza wa Jal) help them. Those who agreed they are helpless and yaa Rabbi we need rijalAllah, we need to be amongst the rijalAllah whom yaa Rabbi You have blessed, and You supported and those whom Your hand and Prophet’s hand is upon, we need that hand, yaa Rabbi and that we are nothing. Subhaana rabbika rabbil izzati `amma yasifoon wa salaamun `alal mursaleen wal hamdulillahi rabbil `aalameen. Bi sirri Muhammad al-Mustafa wa bi sirri surat al-Fatiha.